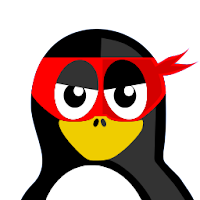 PenguinProxy gives you a simple to setup VPN service which is community-powered.Your anonymous web requests through PenguinProxy are forwarded through their servers as well as other PenguinProxy users. This process is intended to confuse advertisers and hide your true identity while you browse. Keep in mind that completing requests for other members of the community will increase both your download (when you request on their behalf) and upload (when you send them the result). PenguinProxy currently has some measures to limit this to reasonable levels, and they are planning on incorporating more. PenguinProxy is secure, and requests are fully encrypted but since it is a community-based service with requests being forwarded through other users you can equate it to using a public Wi-Fi hotspot. So, it is advised to use PenguinProxy along with HTTPS Everywhere to obtain end-to-end encryption.